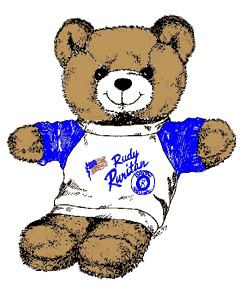 This is the time of year when Ruritan Clubs typically form nominating committees to come up with candidates for their local Ruritan Club’s Officers for the next year. Elections are scheduled to be held during the club’s October meetings. Only full members “in good standing” are eligible to hold an office. By “good standing” that means good attendance, and dues are paid in full prior to the election. Ideally the club’s secretary and treasurer would be on the nominating committee, and they would be able to discretely determine those facts before the candidate is approached. Candidates should be made aware of the dates of both the District and National Conventions, and should be able to attend the conventions to receive important training in addition to representing their clubs during the business meetings, learn about what is going on at the National level, participate in awards ceremonies, vote on the motions being brought before the clubs, brainstorm with other Ruritan members, and enjoy some great fellowship time. If they are unable to attend the convention, they may find it difficult to perform their jobs correctly, and their clubs may suffer from the lack of representation during the business meetings. Candidates should be given a thorough explanation of what the job entails. 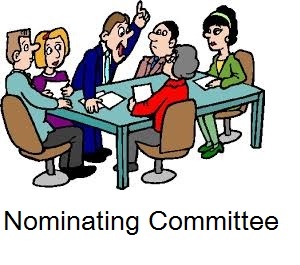 If they are unwilling or unable to perform the tasks, such as attending important training sessions or preparing important reports, nominating committees would be wise to consider different club members to fill the position. This entry was posted in From the desk of the Lt Governor, Ideas to ponder, Local Ruritan Clubs, Membership, Ruritan and tagged committees, District Convention, elections, Local Ruritan Clubs, Ruritan National Convention, tips. Bookmark the permalink. ← New Official Website Is Up!